However, I want to introduce to you a business deal that worth US$9.5million Dollars cash. One of Our clients by the name Mr. Charlie Greeme from Australia deposited 2 trunk boxes containing US$9.5million Dollars before his death, Mr. Charlie Greeme died with his wife and son in the Australia Bush Fire that happen in February 2009. 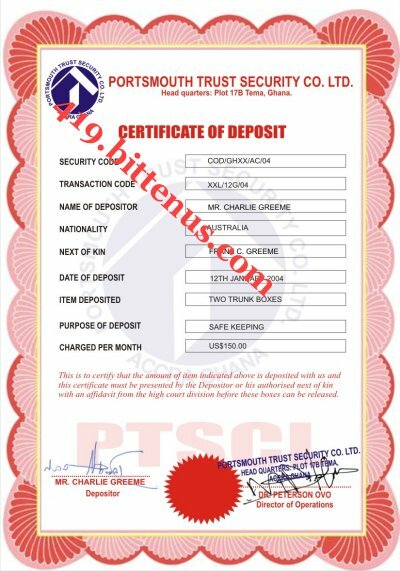 Attached are copies of the documents issued to Late Mr. Charlie Greeme when he was depositing the 2 trunk boxes in the Company custody and I assure you that this business deal is 100% legal and free from risk. 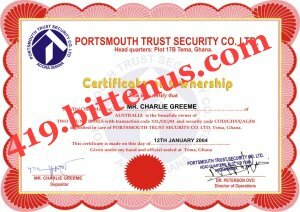 contact Portsmouth Trust Security Company Ltd for the claim of the 2 trunk boxes. custody before he died and you want it to be deliver to you. Below is the Security Company detail. Company Management did not know the real content of the 2 trunk boxes. 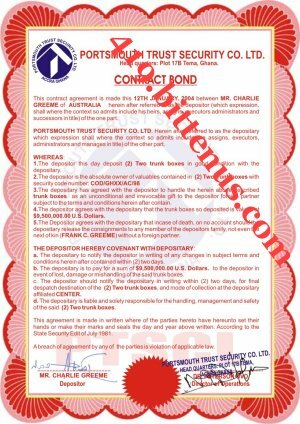 What is expected of you is for you to contact the Security Company Management as soon as possible for the claim of the 2 trunk boxes and they will give you procedures on how they how they will bring the 2 trunk boxes to you in your country without any problem and you will have to follow all their procedures. 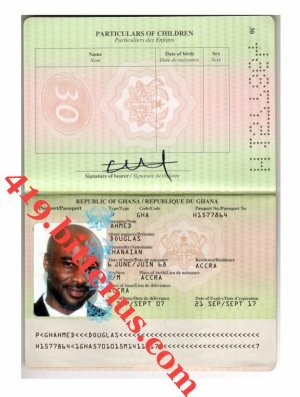 Kindly send me any of your international passport and your telephone number for easy communication. If you do this business with me, the total money in the trunk box will be share among you and i like this, 30% for you, 5% for any expenses that you incur during this business deal and 65% for me. I have also decided to send you my international passport so you can know who you are dealing with and please try to send me your telephone number for easy communication. Please try to call me as soon as you receive this mail.